If you’re looking for a fun-filled place to take the family for vacation this year then you’ll find it here at Myrtle Beach, South Carolina. 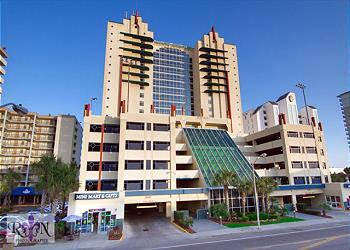 Here you will find many Myrtle Beach oceanfront rentals to choose from. Myrtle Beach has a beautiful and picturesque stretch of beach that runs along the coast for 60 miles offering endless hours of exercise and spectacular views. When you stay in Myrtle Beach oceanfront rentals your family will not only have a great place to rest and relax, but will also have shopping, dining, theatres and amusement parks near by. When deciding where you would like to stay, you need to consider the options that we have available to you. Where you stay will depend on your needs, the needs of your family, and all of the activities and sightseeing you would like to do when on your vacation. For the ultimate relaxing holiday atmosphere, our Myrtle Beach oceanfront rentals are the perfect choice. In Myrtle Beach you will be close to the action, and can experience the relaxed atmosphere and the renowned Southern hospitality we’re famous for. Regardless of when you plan on arriving, you will find we have a large selection of Myrtle Beach oceanfront rentals that will accommodate your every need. 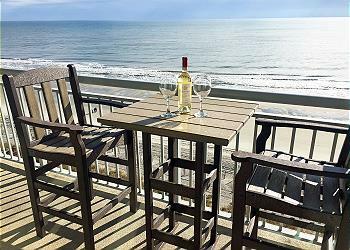 Listed below are Myrtle Beach Oceanfront Rentals in the Carolina Resorts Vacations rental program for 2019. If you are interested in more details and availability of one of our Myrtle Beach Oceanfront Rentals properties, please click "More Info" listed in each vacation property description.